George is responsible for the overall direction of the Wallace Correspondence Project, for designing and maintaining the project’s database and website, for project publicity, fundraising, editorial decisions etc. 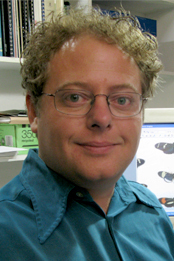 George is an evolutionary biologist/entomologist who is the Curator of Orthopteroid Insects (grasshoppers and their relatives) in the NHM's Department of Life Sciences. He has studied aspects of Wallace's life and work for about 10 years and is one of three co-executors of Wallace’s Literary Estate. George is the founder of the A. R. Wallace Memorial Fund, which is responsible for restoring Wallace’s grave in Broadstone, Dorset and for funding monuments to him at his birthplace and elsewhere (see http://wallacefund.info/). He played a key role in helping the NHM purchase the world's largest and most important collection of Wallace’s manuscripts, books and insect specimens from Wallace's grandsons in 2002. George has written several articles about Wallace and is co-editor of the book Natural Selection and Beyond: The Intellectual Legacy of Alfred Russel Wallace, which was published by Oxford University Press in 2008 (2nd edition in 2010). In 2012 he was Series Consultant for a BBC programme about Wallace called Bill Bailey's Jungle Adventure, and spent 3 weeks in Indonesia with the camera team and the Presenter Bill Bailey. George has designed and managed two other large digitisation projects with online databases i.e. LepIndex: a uniquely comprehensive on-line synonymic catalogue of the living and fossil butterflies and moths of the world (see http://www.nhm.ac.uk/research-curation/research/projects/lepindex/); and the Blattodea Species File Online (BSF), a comprehensive online synonymic catalogue of world cockroaches (see http://blattodea.speciesfile.org/HomePage.aspx). Copyright © 2019, Digital|HPS. Designed by Devsaran.